Christmas is one of the most wonderful times of the year, and one of my favorites too. 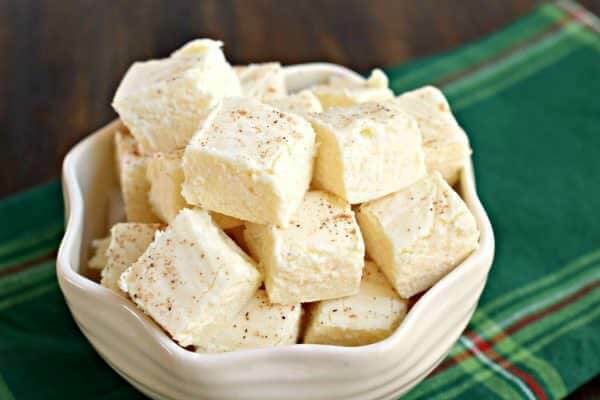 My favorite part about Christmas is the Christmas treat recipes! 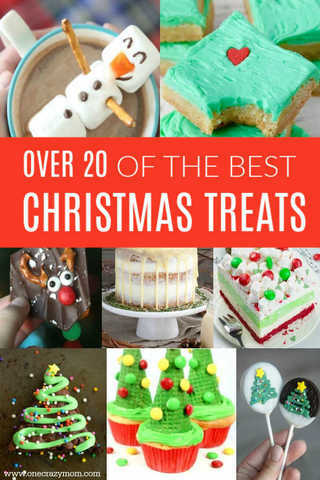 I love making cookies for Santa, cakes for Christmas dinner, and other fun desserts to snack on throughout the season. 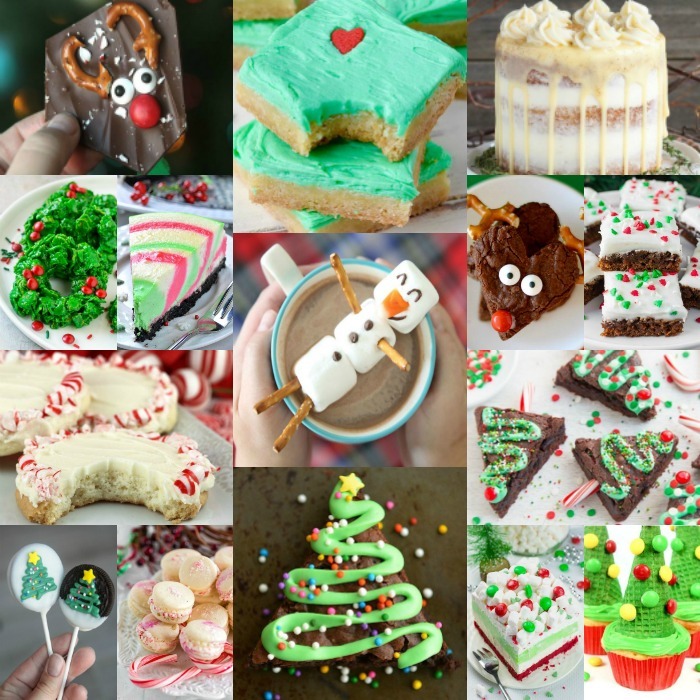 They all just make Christmas so festive and have the holiday spirit in every bite! Try these holiday desserts for your next holiday party or family dinner. We love to splurge on cute Christmas desserts and making them even more decadent by adding whipped cream, ice cream, cream cheese frosting and more! Spread holiday cheer with a festive Christmas dessert everyone will love. Whether you like traditional and easy Christmas desserts or fun and whimsical Christmas treats recipes, there is something for everyone to enjoy. I love old classics but I also like try new recipes too. Typically, my dessert list for the holidays is a mix of old and new favorites. I do have a tip for you. A ton of these recipes use Christmas M&M’s. It can get pricey buying small bags as it adds up quickly. I buy a big bag on Amazon and keep them ready this time of year. Saves me money and time! 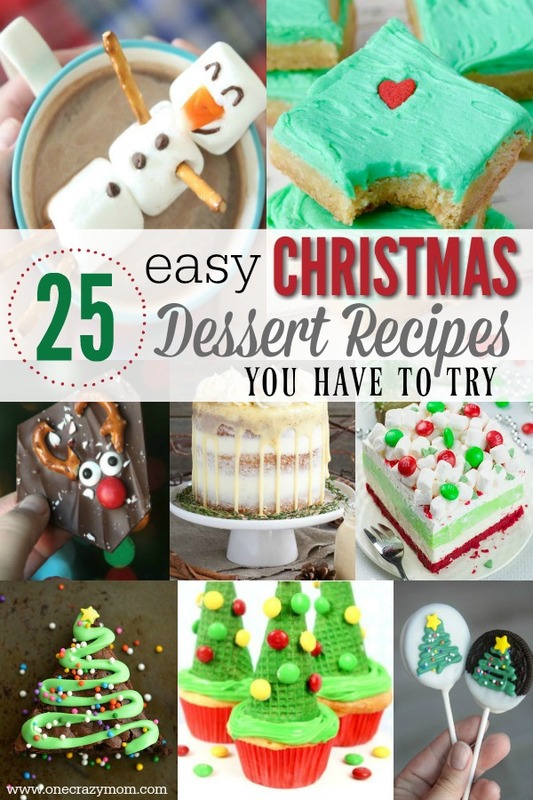 25 Easy Christmas Desserts Recipes with pictures. 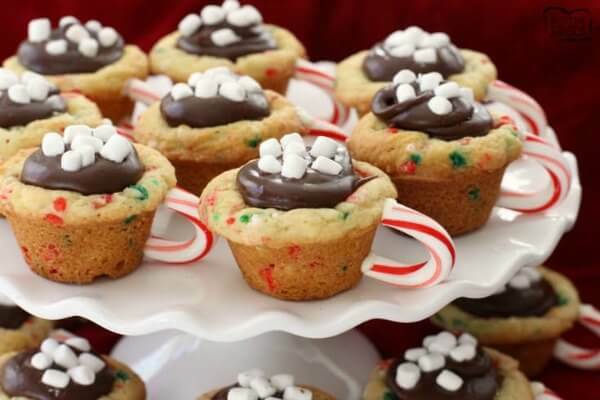 These darling cookie cups look like mini cups of hot cocoa! These are so cute and the kids will love these. 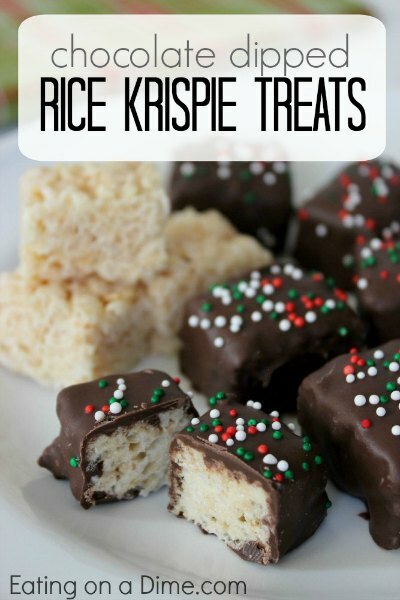 This is the perfect treat to make and then watch the Grinch. That movie is such a classic and these treats will be so tasty! 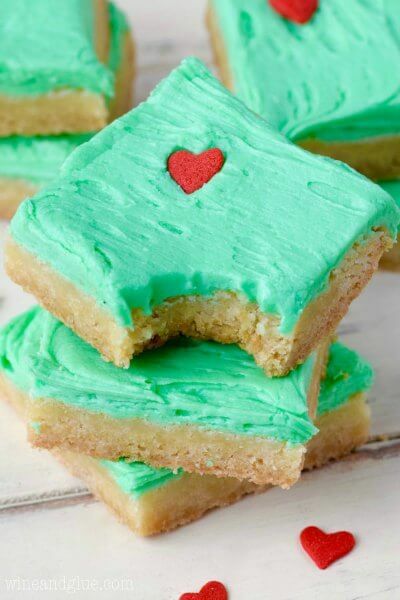 Sugar cookies are always delicious and this version turns them into yummy bars. This marshmallow snowman is too cute! It’s amazing what a few pretzel sticks and marshmallows can do! 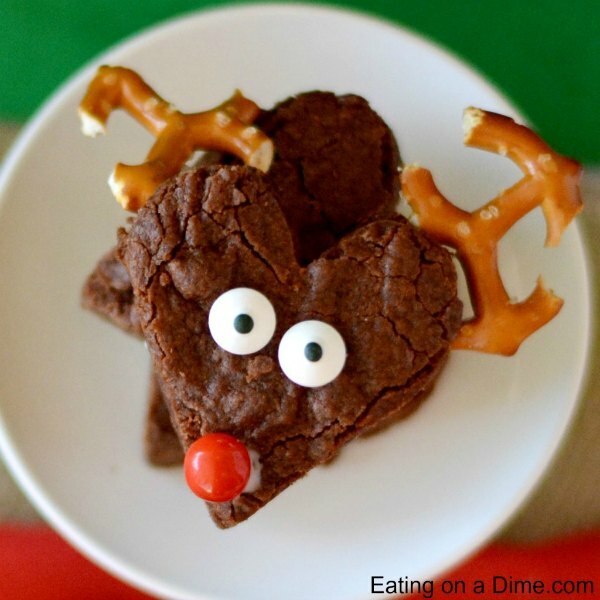 Plain brownies easily become Reindeer with googly eyes, pretzels and more! This is so simple and easy but everyone will just love these cute brownies. 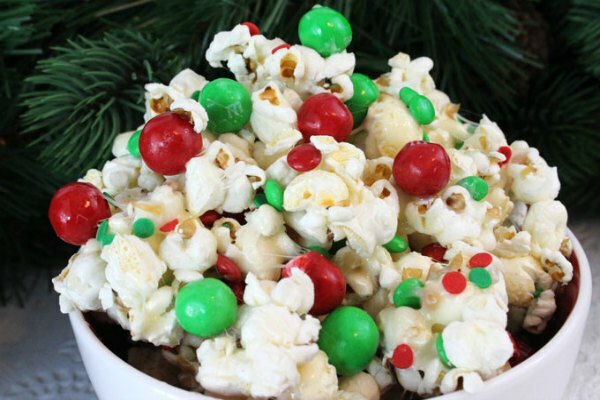 Dress up popcorn for Christmas with candy, sprinkles, white chocolate and more! This is the perfect movie snack! 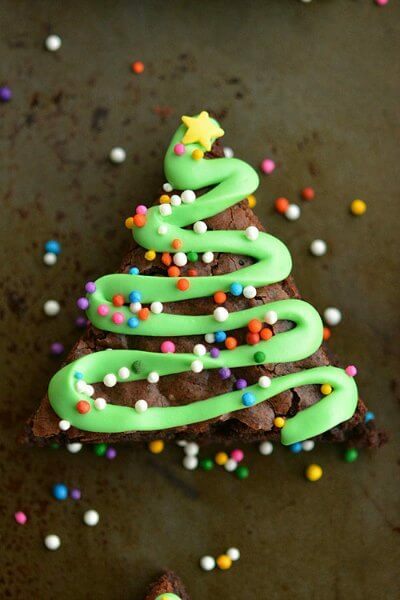 Drizzle green icing on brownies to make a Christmas tree! So cute and the kids go crazy over these. 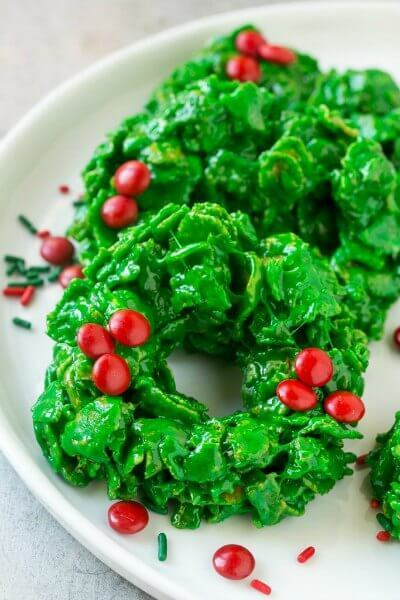 These wreath shaped cookies are such a festive treat for Christmas. The “red berries” are chocolate candy. Yummy! This is such a simple and easy to make treat. However, the results look so fancy and festive. 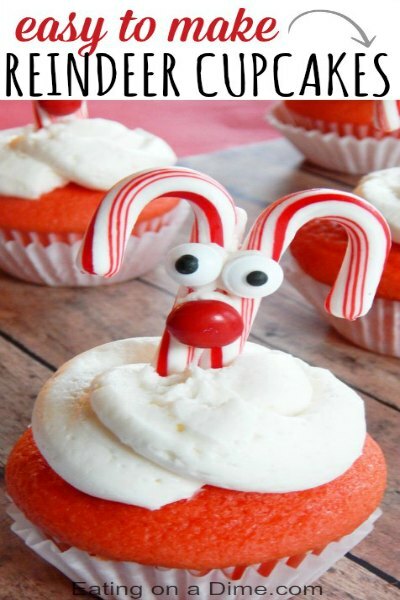 With a little icing and candy canes, you will have reindeer adorned on cupcakes that will impress all your guests. 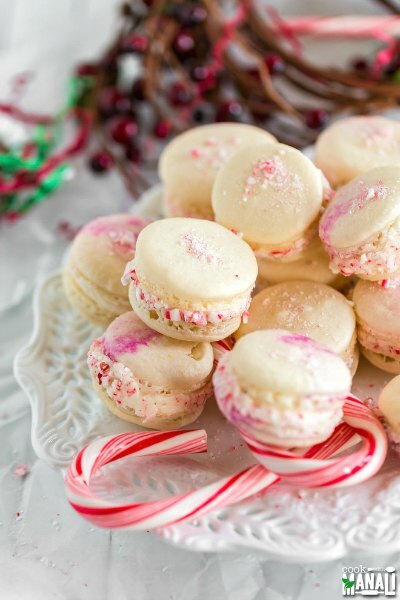 Macaroons are so tasty and what better than peppermint for the holidays! The sides are just so festive once you roll them in crushed candy canes. Oh my! Fudge is one of those holiday must haves and egg not is even better! Plus, the white is just so classic and pretty. 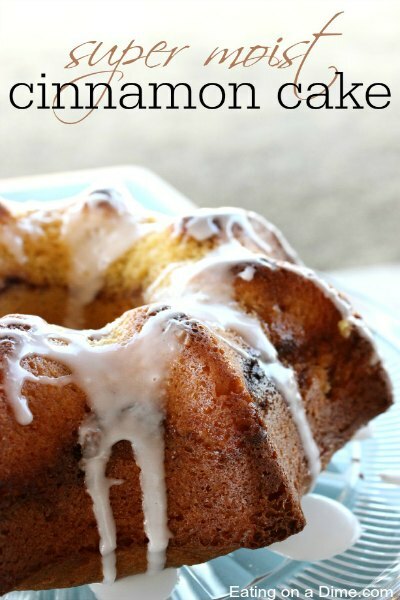 This cinnamon cake is gorgeous and you could almost sneak it in as brunch 🙂 The icing is drizzled over the side is so pretty. 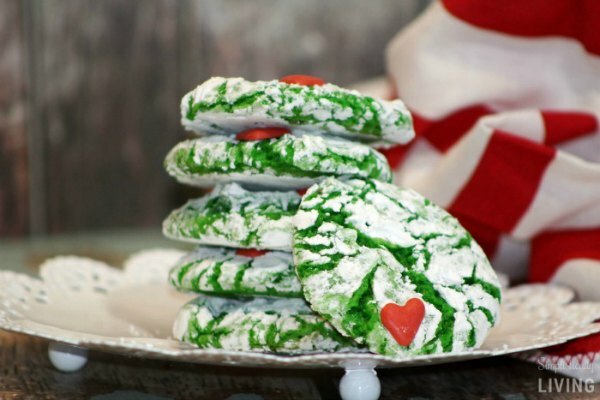 These little cookies are so cute with all the green and the tiny red heart! Kids will love these. Peppermint bark is such a delicious and easy recipe. 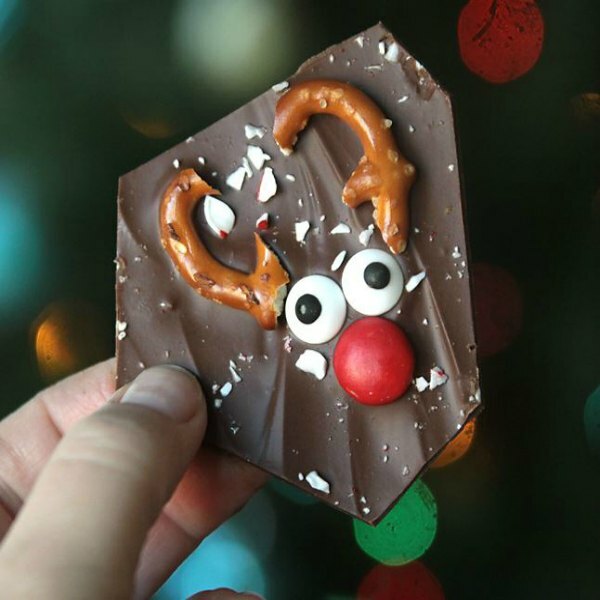 Make this recipe holiday ready by turning the pieces into reindeer! 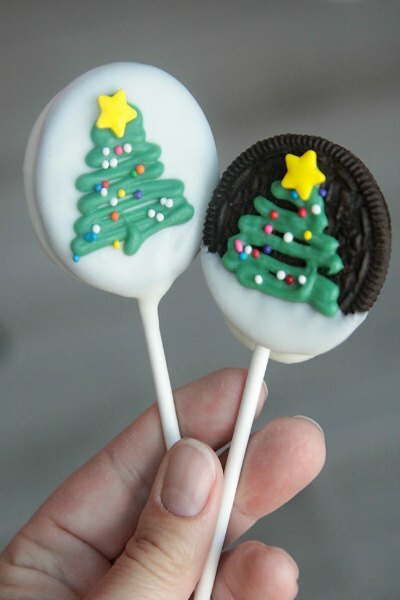 Decorate Oreos with Christmas trees and make Oreo pops! This is perfect for little hands to eat. These would also be good for classroom treats. Layers of Christmas colors complete this flavorful “lasagna”. This will become an annual treat that everyone asks for. Each layer is so good. 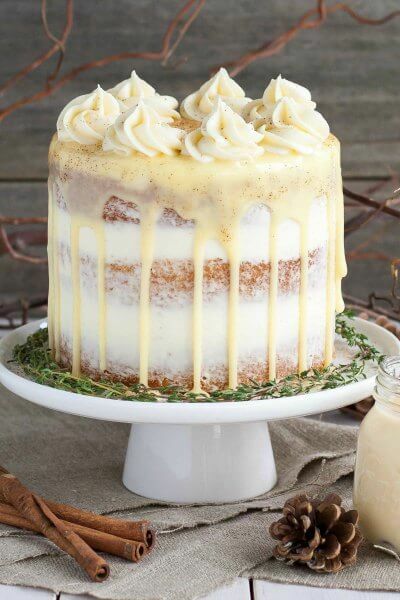 This eggnog flavored cake is not only beautiful but it’s tasty too. All the layers on this cake make it just look so lovely! 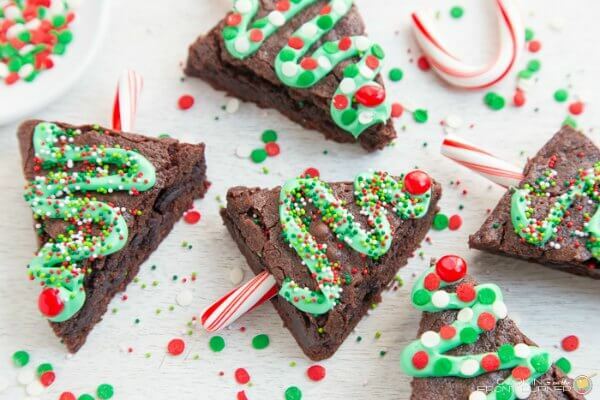 With the help of candy cane sticks and green icing, brownies can become pretty little Christmas trees! This looks like it will be a crowd pleaser! Everyone loves rice krispie treats! Dress them up for the holidays with chocolate and Christmas colored sprinkles. Yum! 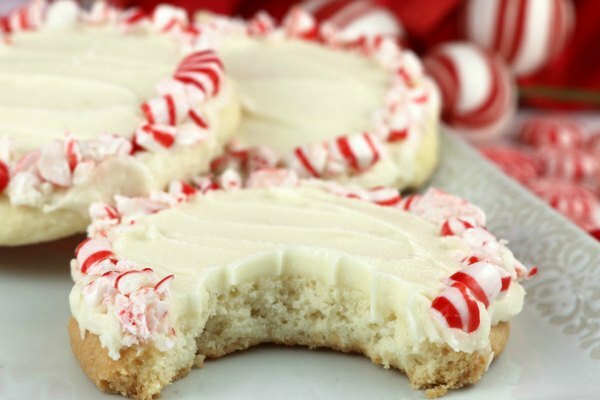 Cookies with peppermints and more will leave everyone asking for the recipe! Plus, the peppermints around the cookies make it look so gorgeous! 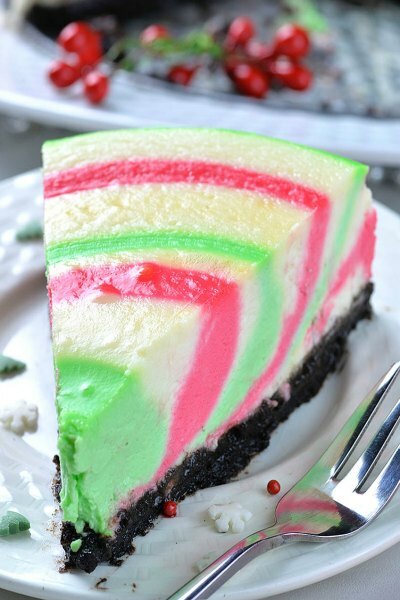 Cheesecake gets a twist with layers of Christmas colors. 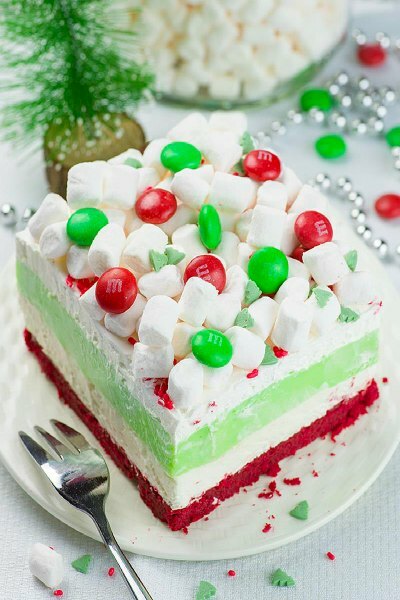 The red and green layers make this dessert stunning. 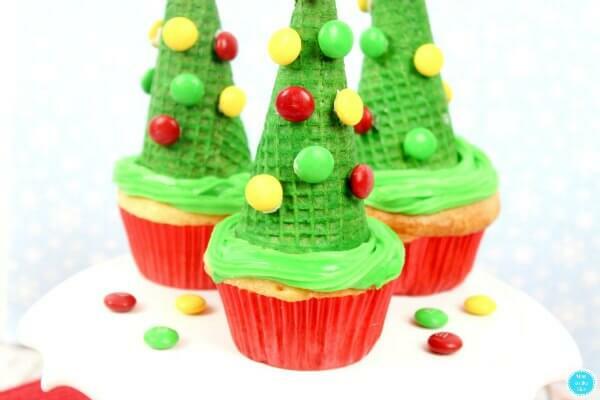 Sugar cones make the perfect Christmas tree on cupcakes. These turn out so cute and the ice cream cones make this really simple. 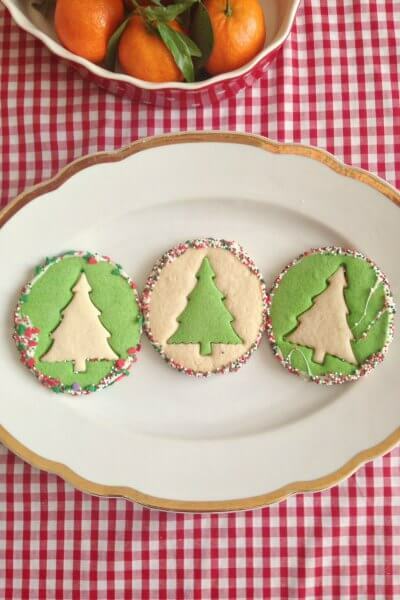 Cookies with Christmas trees in the middle are the perfect addition to your dessert table. They are classic, simple and festive. Cut out brownies in the shape of trees and let the fun begin! 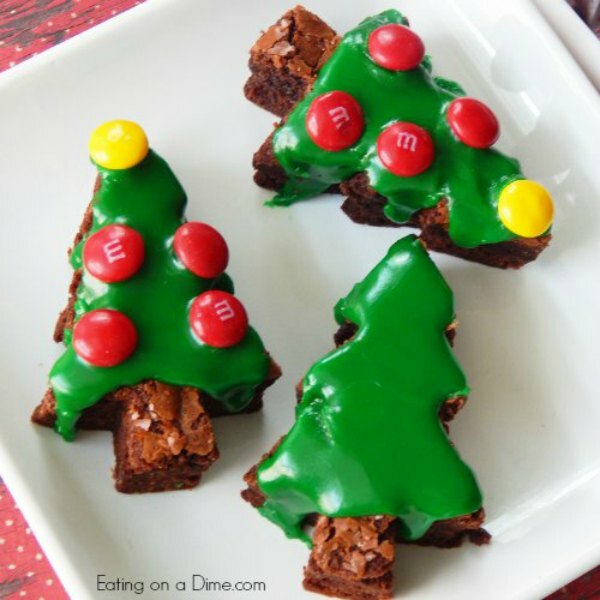 Kids can help to decorate these brownies with icing and m&m’s. The final result will be the cutest Christmas trees ever! Cookie sticks are the perfect treat for something a little different. They are tasty and perfect for dipping in hot cocoa! 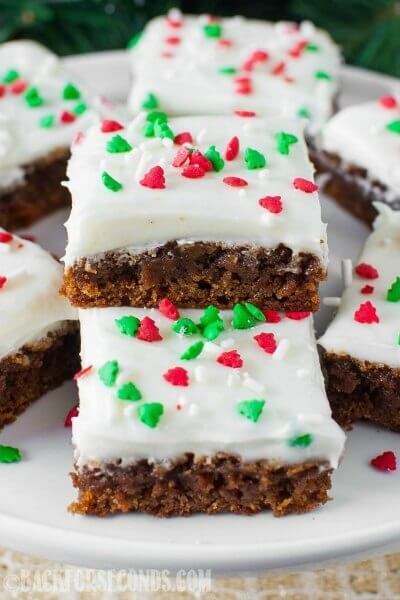 Gingerbread bars have such a rich and decadent flavor. The icing and sprinkles make this even better! 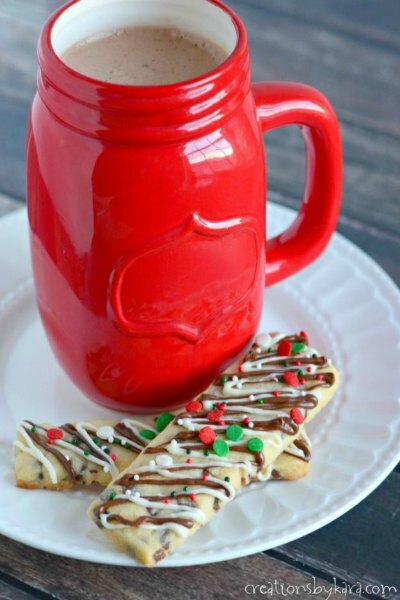 All of these easy Christmas treats sound delicious! There are so many recipes just perfect for Christmas Day. I also saw a ton of recipes that would be perfect for Christmas parties. My family likes to watch Christmas movies in December. I already know I’ll have to make the Grinch Cookies for the kids while we watch that movie. 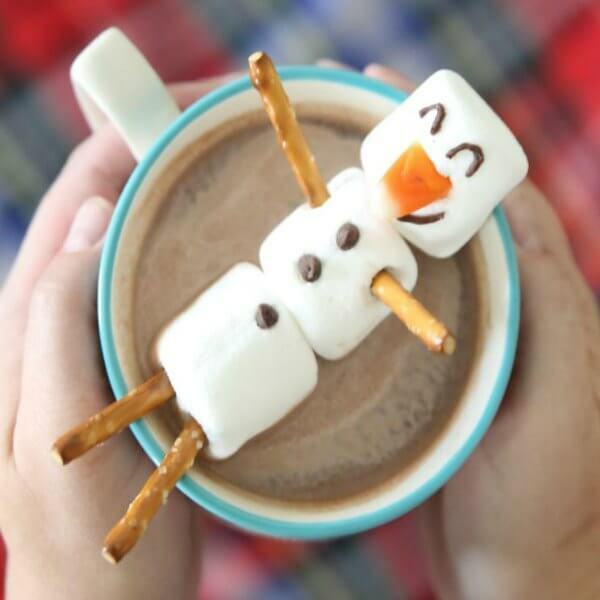 And did you see that adorable Snowman Hot Chocolate? He looks like he is just floating on top! That will be the perfect treat while we watch Frozen or maybe after coming in from the snow! With so many Christmas treat recipes, which ones will you choose? We always have to make cheesecake but I love the twist on an old classic by adding layers of Christmas colors. And brownies are always a hit around here. I can’t wait to turn them into Christmas trees! Those would be just perfect for family game night. As you can see, I have so many traditional Christmas dessert recipes that I want to try along with new favorites to try! So, make a list of what you will make and get started! Whether you are watching a Christmas movie, playing a game, hosting a party or just hanging out; these treats are perfect!